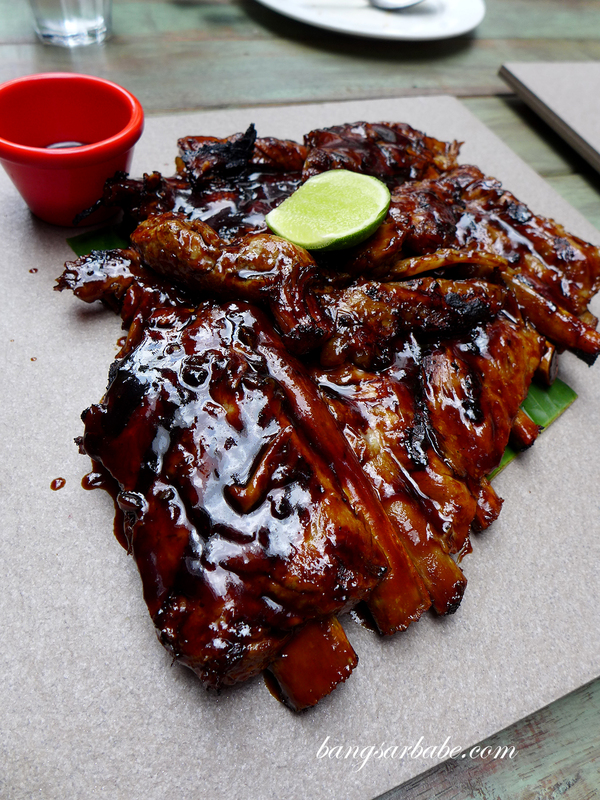 I’m no stranger to Naughty Nuri’s pork ribs, a lip-smacking platter of falling of the bone pork, seasoned with Balinese spices and grilled to perfection. It is still one of the best pork ribs I’ve eaten, I reckon. Especially when you add some sambal for extra kick. 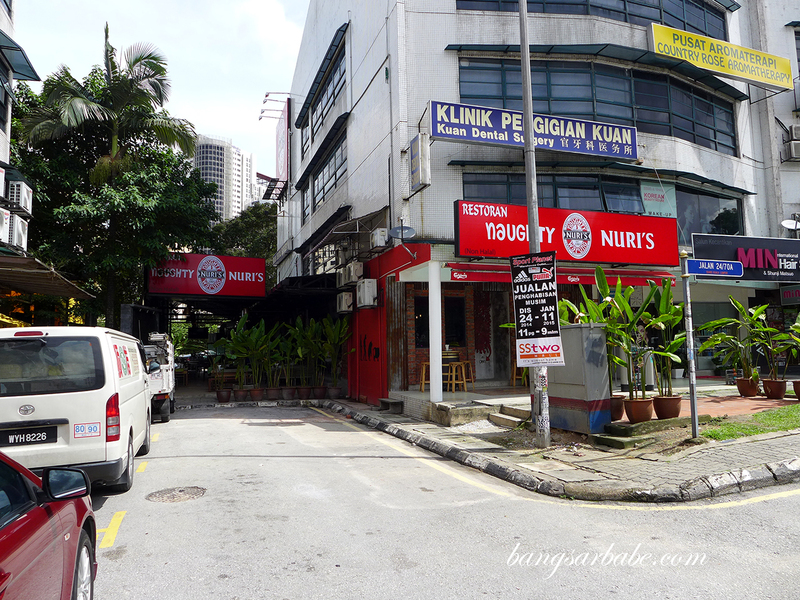 When word got out that Naughty Nuri’s was opening in Desa Sri Hartamas, I was one of the many who waited in anticipation. rif and I popped by on a Saturday afternoon after a round of errands in the neighbourhood. While there were plenty of complaints regarding table reservations and seating, I got a table immediately as they weren’t crowded. 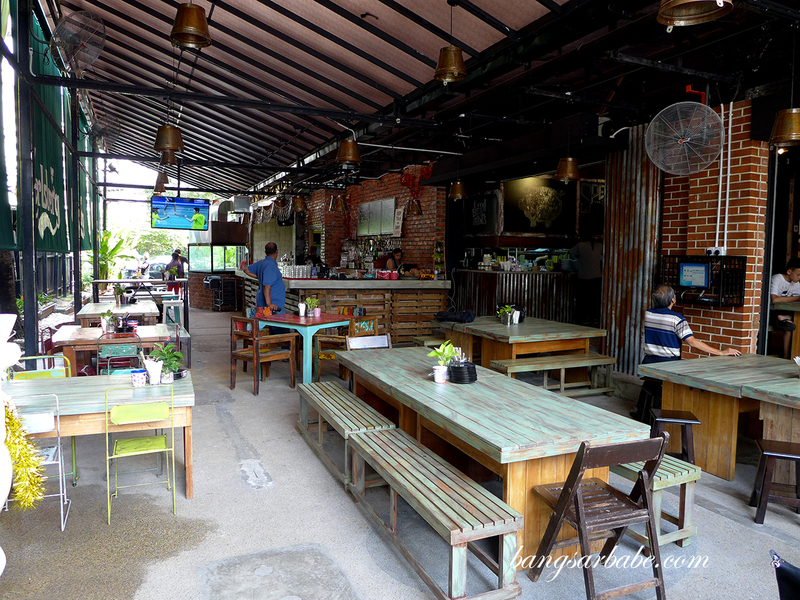 Service was fairly efficient that afternoon and I found the staff friendlier than the folks at Naughty Nuri’s Batu Belig. 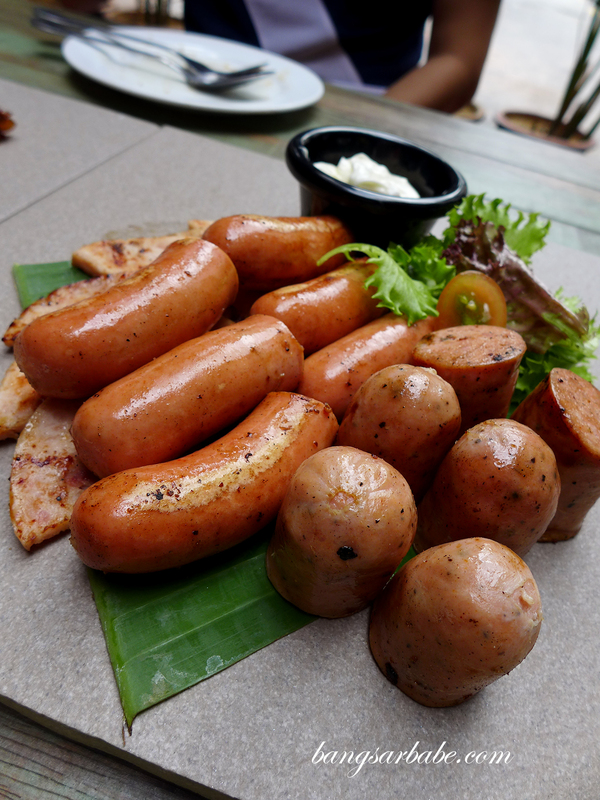 While they carry the Naugthy Nuri’s name, the pork ribs didn’t quite taste the same. The version from Batu Belig is spicier and definitely more heavy in spices, but this version was smoky-sweet and just mildly tangy. 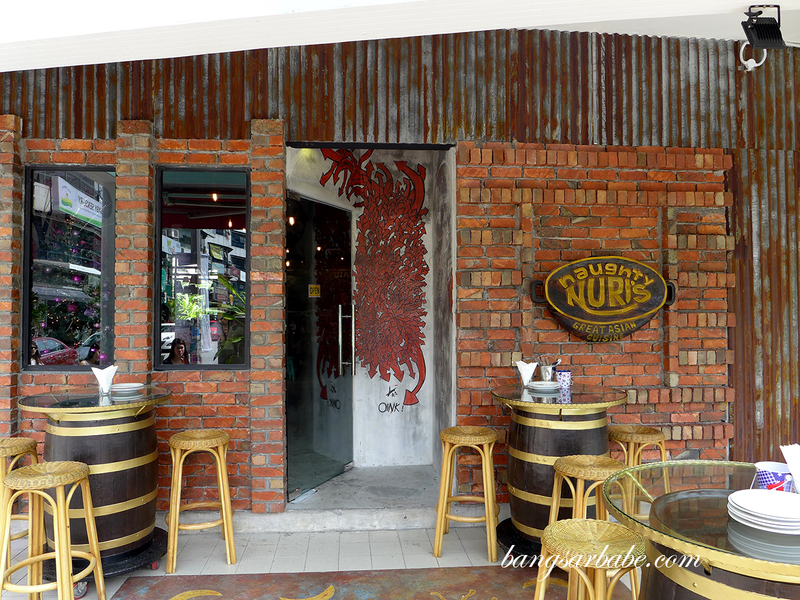 During my time of visit, they didn’t serve the ribs with sambal so my ribs lacked the spicy kick. 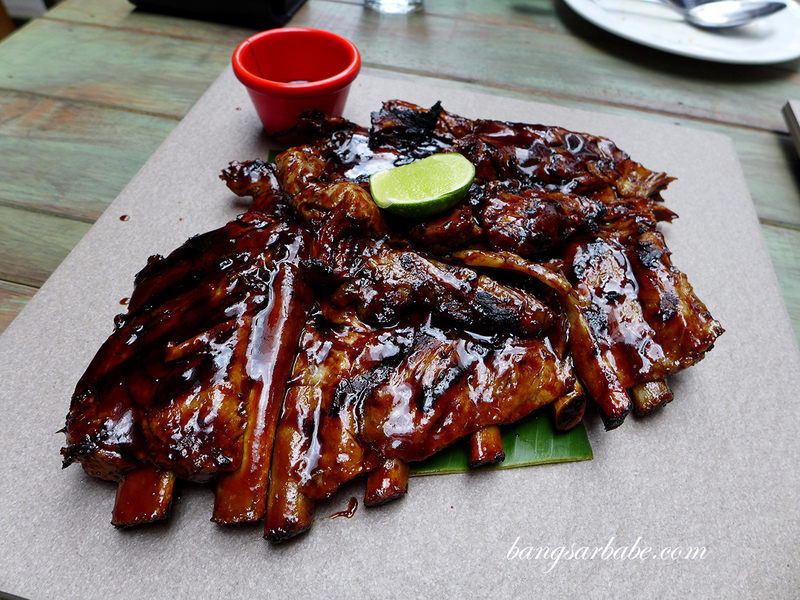 That said, the ribs were pretty decent; they just didn’t taste like the one in Bali. 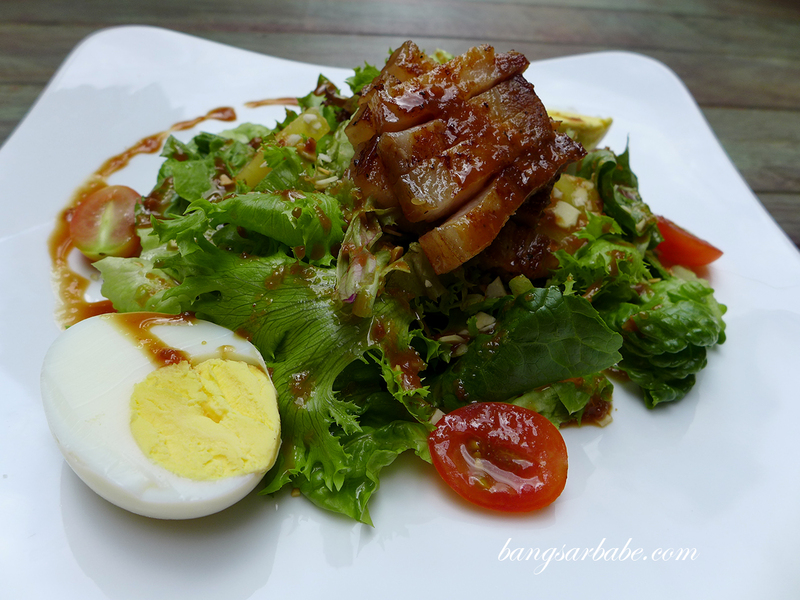 I rather enjoyed the Grilled Smokin’ Oriental Pork Belly Salad – a refreshing appetizer of garden greens, marinated pork belly and boiled egg in ginger sesame soya sauce dressing. While the belly slices could have been more tender, each were well marinated and flavourful. 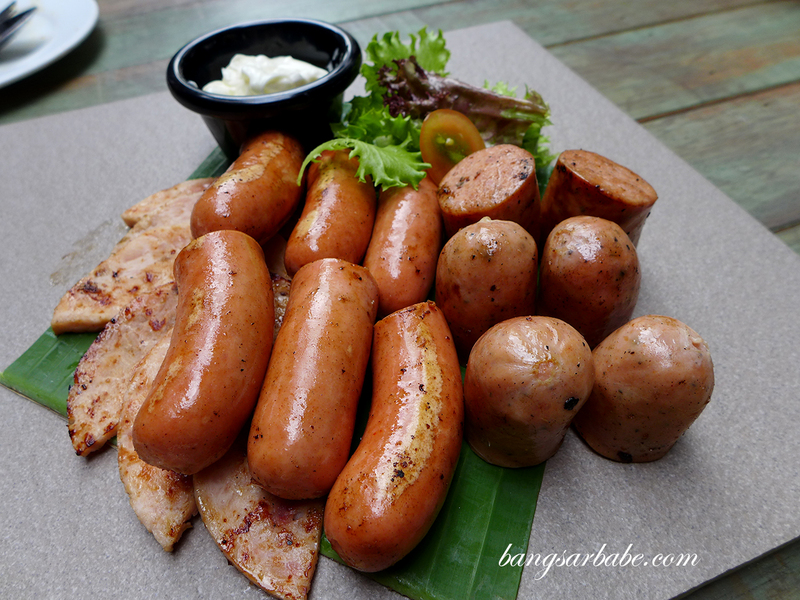 Grilled Hog’s Sausage Platter didn’t really knock my socks off; the sausages (spicy devil, smoky bandit and herbilicious hog) come with some garlic aioli for dipping. This would be ideal with beer, I reckon. 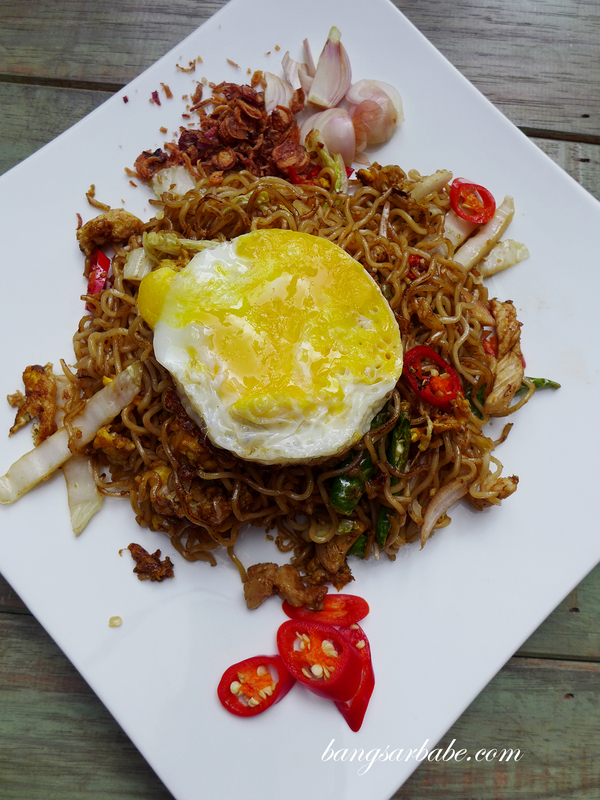 Better was the Indonesian style mee goreng – fiery from the chopped cili padi, chillies, shallots and fried shallots, topped with a sunny side up. 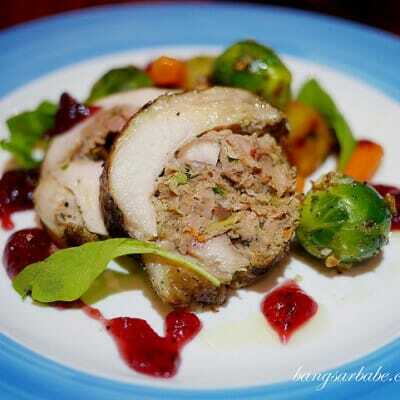 Rather steep though, at RM18 per plate. 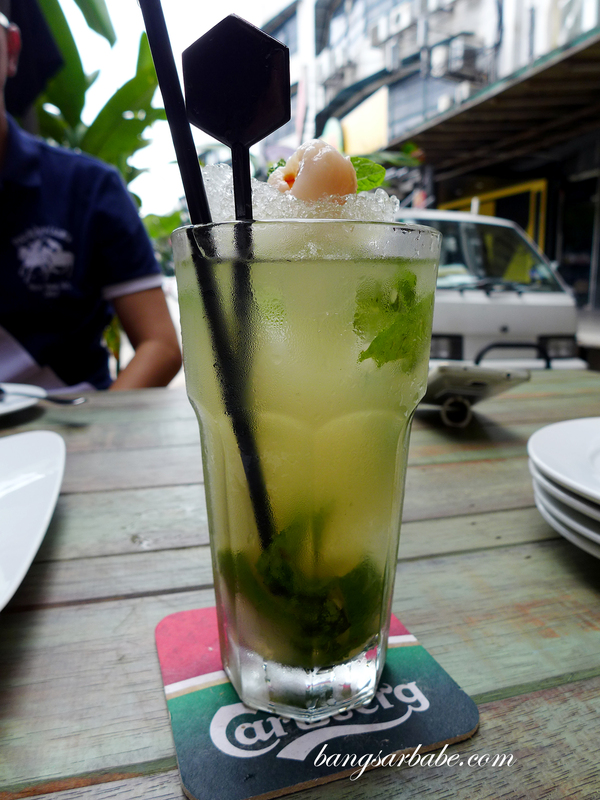 The Bunga Kantan Lychee Mojito (RM26) is worth trying here; each sip is potent and the bunga kantan gives it an Asian flair. 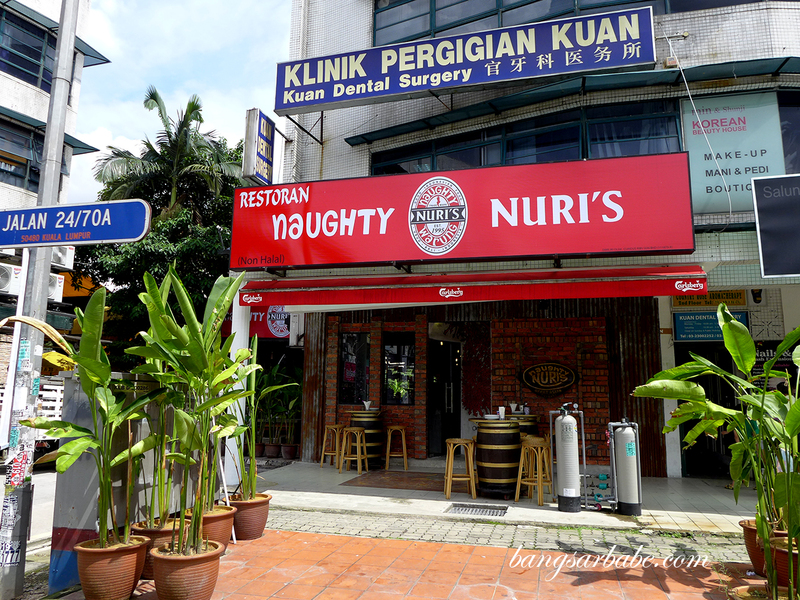 While they carry the name Naughty Nuri’s, there are a few elements missing from the equation – like the presence of sambal to go with the ribs and the way the meat is plated (Naughty Nuri’s in Hartamas uses ceramic tiles). Not that I mind, but I do expect a similar consistency since it’s afterall, Naughty Nuri’s. 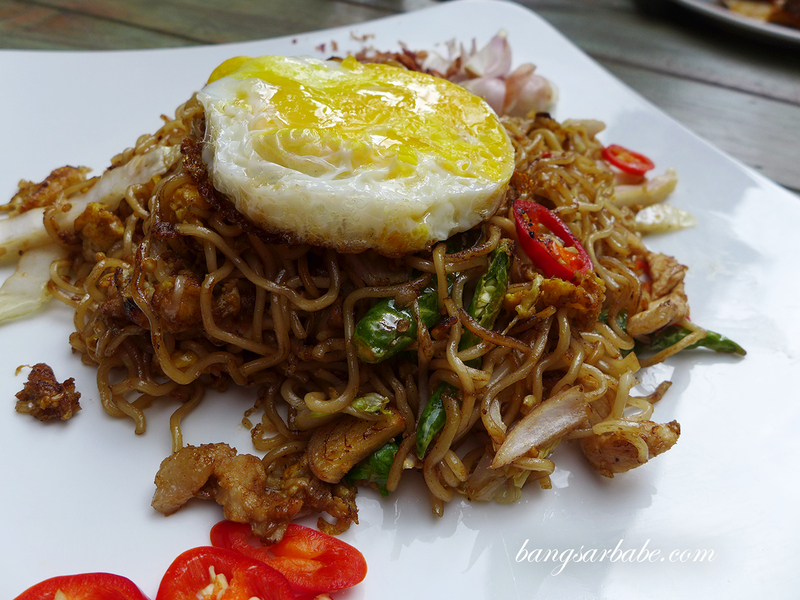 Ribs aside, I found the pricing slightly on the high side, especially the mee goreng. Verdict: The ribs were decent, but didn’t taste like the original. 2, Jalan 20/70A, Desa Sri Hartamas, Kuala Lumpur. 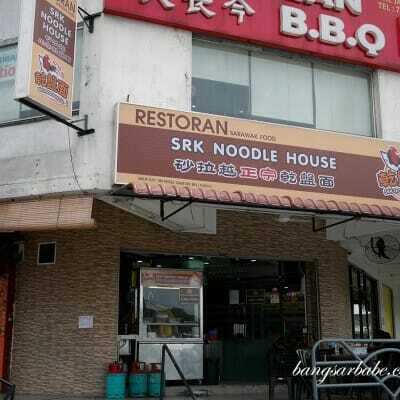 Error of the address you stated for Naughty Nuri’s Desa Sri Hartamas.